I recently visited New York again, which is certainly the most dynamic city that I visit on my yearly world tour. It has enormous energy, partly due to the very long, straight avenues and streets. The environmental chi whizzes up and down these long straight lines and makes the city very yang. In fact you have to be pretty yang yourself to handle it. Hence the line, ‘If I can make it there, I’ll make it anywhere’! It is a powerful, vibrant city but it took a terrible blow to its confidence after the shocking attacks of September 11th 2001 and that trauma continues even now. The energy at the ‘ground zero’ site is very disturbing. It still requires a lot of prayer. Also, it has taken too long to deal with the redevelopment of the site and the sooner the ‘Freedom Tower’ is built the more quickly New Yorkers will be able to move on from this awful event. During courses I gave in February 2001 I advised my students of the dangers of twin towers. I told them to watch what happened with the various twin towers around the world. The disaster in New York some six months later was not totally unpredictable. It is well known in geomancy that having two identical large towers together is very negative. Indeed there had already been a bombing at the World Trade Centre. Students told me of other twin towers that had had various problems. The Chinese are superstitious about twin towers because they look like the two joss sticks that they offer to ancestors but there may be more subtle reasons to avoid them. If you look at the table of the trigrams and their characteristics you can see that the number two is associated with kun which is the most yin of the trigrams. This number has a negative connotation in Flying Star geomancy, usually foreboding sickness. It is also associated with the element ‘big earth’. In addition, the towers of the World Trade Centre had square shaped bases. This shape is also associated with the earth element. Earth is generally considered to be yin in nature. The time that the attacks took place was ‘between’ summer and autumn, which is also associated with kun. It seems that this extremely heavy combination of very yin influences was too much for the buildings to sustain. Also, the corners of the towers were pointing directly at each other creating very powerful ‘poison arrows’. The negative energy of the site, now known as ‘ground zero’ is palpable years after the terrible event. It will take a long time and many prayers to help improve the environment. Years later, real estate is still much cheaper in the vicinity than in other parts of Manhattan. 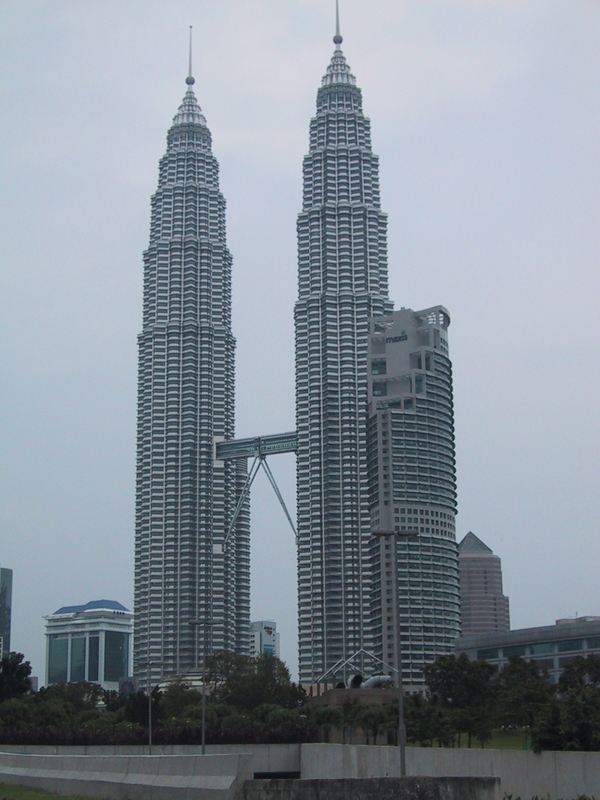 I am sometimes asked if the same fate awaits the famous twin towers of Kuala Lumpur – the world’s tallest buildings. * The prognosis is a bit more optimistic in this case. Indeed there are two towers, but they are joined by a bridge at about one-third of the height which may help. The footprint shape of the towers is based on the eight-sided ba gua or octagon. This shape is well known to have protective properties, as I will explain later. 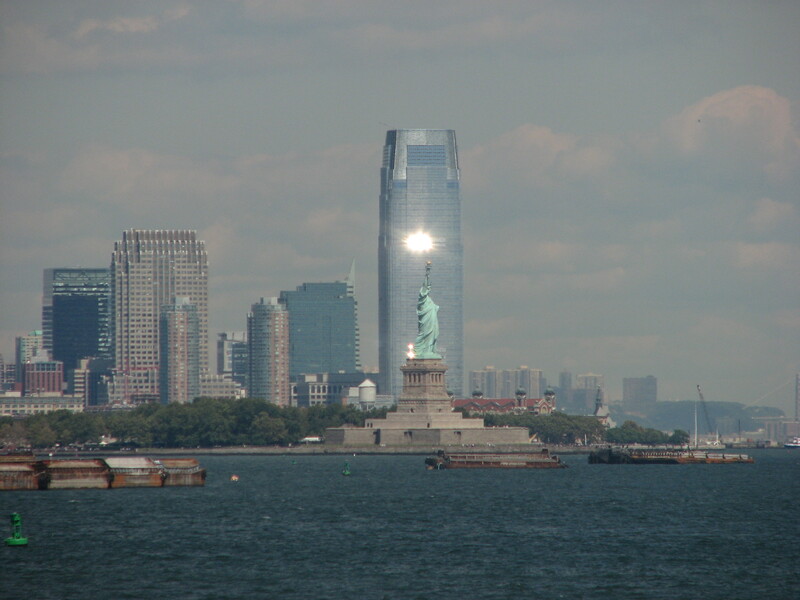 In addition, the towers are mostly clad in metal; in the cycle of elements metal exhausts earth, so the heavy earth influence is somewhat reduced. ‘Big metal’ is associated with Qian, which is the most yang trigram and in this way the yin and yang influences of the towers are balanced. On the negative side, the towers have a lot of corners that are firing poison arrows in all directions and also at each other. So from this analysis there seems to be less danger to the K.L. towers than there was to the New York ones. Would I live anywhere near them? No way! * They were the world’s highest buildings at the time of writing – now overtaken by the Burj Khalifa in Dubai. Jampa Ludrup is an Australian monk in the Tibetan Buddhist tradition. He has been studying, teaching and giving consultations in Feng Shui since 2001 in all parts of the world. Jampa aims to help people find maximum happiness in their lives through the application of Buddhist and Feng Shui techniques. This entry was posted in Uncategorized and tagged Feng Shui, Jampa Ludrup, Kuala Lumpur twin towers, New York, Twin towers. Bookmark the permalink. 3 Responses to New York, New York! Fascinating insight once more Jampa! I’ve never liked the twin towers in KL, I always thought it was because of the huge shopping mall underneath them, but perhaps your other explanations give cause too!